Opti Munich’s expansion, from four to six themed halls, has been welcomed by exhibitors and visitors with 28,000 visitors travelling to view 631 stands showcasing products, innovations and opportunities. 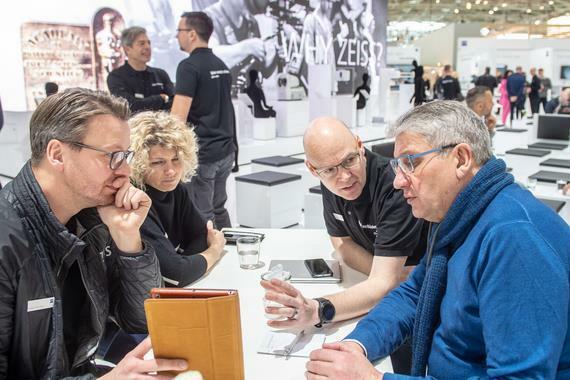 This year’s event, held at Fairground Munich from January 24-26, included optical products, from frames to contact lenses and technological equipment. ‘The professional visitors quickly adjusted to the new hall structure with three entrances. They praised the clear hall profiles,’ said Dieter Dohr, CEO of organiser GHM. Stands ranged in size and style, coming together to form a range of exhibitors. Huge, technologically sophisticated stands by global companies contrasted with small, boutique ones by luxury eyewear providers or well-lit, bright areas showcasing consumables and accessories. The next opti takes place in January 2020.